on teamwork and the fundamentals." “I bought No Bad Team as a present for a millennial who has been chasing his baseball dream and is now transitioning into the “real world”. Intrigued after meeting the author, Craig Ahrens, I decided to read No Bad Team before I gave it away. It is the perfect gift! Well written, a quick read, it clearly translates how the skills learned playing team sports (in this case, baseball) easily transfer to the workplace. No Bad Team drives the point home by using a “real world” case study that demonstrates the success of using team building techniques, including Craig’s GAPS, ERRORS, and RECAPS tools to improve a company’s culture; grow revenue, increase profits, and customer satisfaction. 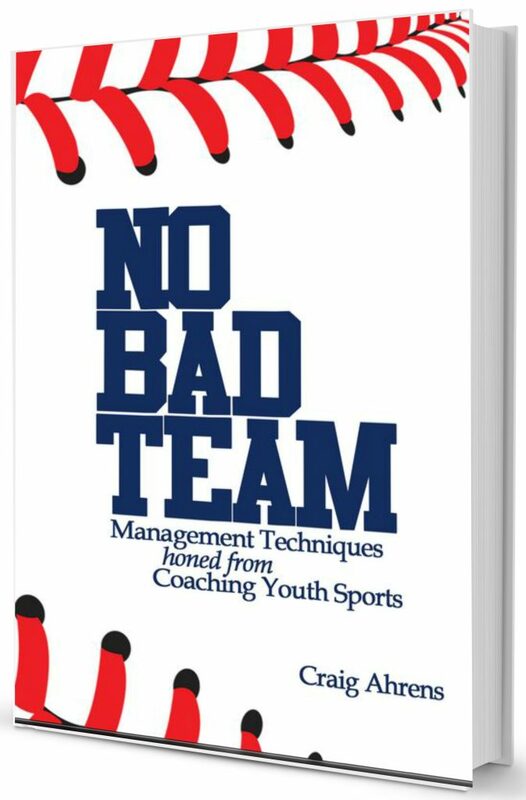 And No Bad Team is not just the perfect gift for an emerging professional; it is a fun, fresh take on team work. Enjoy! This book is a reminder of the multi-faceted rewards that come from focusing on teamwork and the fundamentals. If you want to dramatically improve as an individual, or you want to raise the bar for a group of any kind and any size, embracing teamwork and the fundamentals are key. This easy-to-read book will tell you how to get everyone involved and energized. Your willingness to focus on teamwork and the fundamentals and engage others will create positive change in you and those around you. You’ll look forward to every day, and reap the benefits of your endeavors.